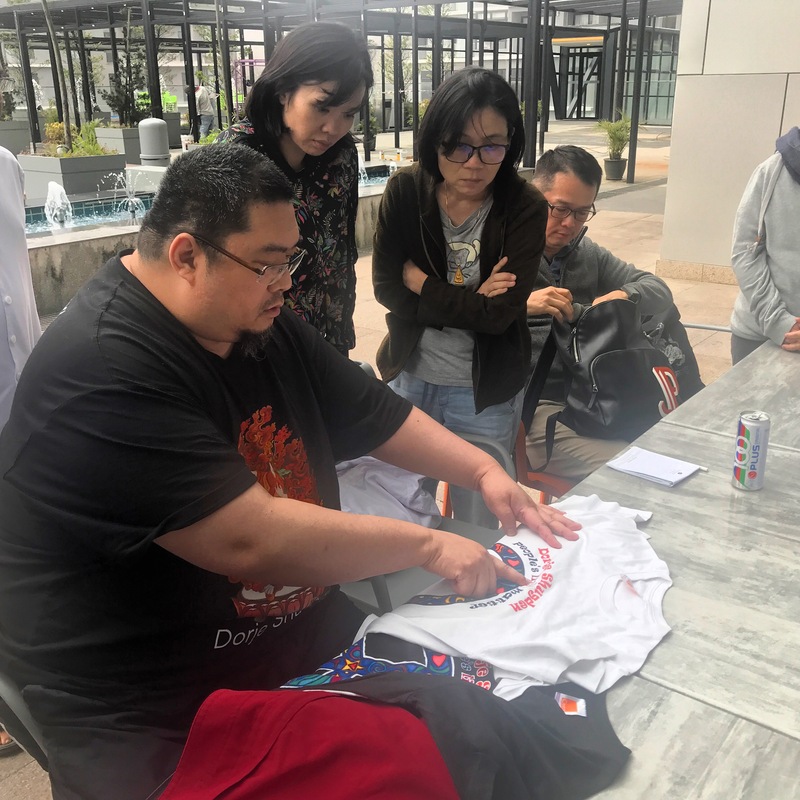 Tsem Rinpoche takes a personal interest in all Kechara projects. For Rinpoche, every single Kechara project involves spreading the Dharma so Rinpoche wants every project to be executed as best as it can. Why? Because every missed opportunity means someone suffers because they did not connect to the Dharma. Therefore doing our best is actually an expression our compassion, and a practice in not being selective. We so often give the best to ourselves, don’t we? We make sure we have the best food, the best car, the best house, the best education, the best clothes. We make sure our kids get the same, or at least give them the best footing in life so they can eventually acquire the same for themselves. But what about other people beyond our immediate family and loved ones? Aren’t they human and don’t they deserve the best too? When it comes to Rinpoche, it doesn’t matter if you’re 9 years old or 99 years old; it doesn’t matter if you’re a dog, fish, horse, elephant. As long as you live and breathe, and as long as you come into Rinpoche’s mind, know that from Rinpoche you’ll always be getting his best. Thank you Ani Lobsang Pema for this blog post. Having experienced the great kindness and compassion of Rinpoche first hand, has been the greatest of gifts to have received in this life, and will surely benefit the next! Grateful for his taking the time to consider the wellbeing of all beings, giving his best to them constantly and selflessly. We are fortunate to have found this profound concern which enriches and encourages the lives of so many. For all who Rinpoche helps, will help and has helped, may you be happy, may you be well, and may you always feel the love and care Rinpoche has spent his life sharing with others. May you know peace in mind and closeness in heart to the Guru, to the Buddha, to the Dharma and to the communities of Sangha. May Rinpoche enjoy long life and remain to turn The Wheel of Dharma for all who shall arrive at enlightenment in time.